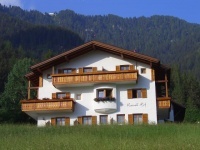 Welcome to the apartments AM RAINELL HOF for an unforgettable holiday in the heart of the Dolomites. The apartments are located in a wonderful and very peaceful area, just 15 min. walk to the centre. The apartments for 2/4 people on the ground floor with separate entrance are extremely comfortable and very well furnished. In front of the house you find a garden and one private parking space per apartment. Our guests have also free entrance in the indoor and outdoor swimming-pool of Ortisei, which can be reached easily by 10 minutes walking. Change linen every week: bed-linen, 3 towels per person and 2 dishtowels per apartment. starting point for inviting walking routes, beautiful mountain trails, breath-taking climbing routes and � why not � simply relaxation and rest. All of this with the unique Dolomite mountains as a backdrop. put on your skis and go. The ski fun starts right on our doorstep. In the immediate vicinity two ski-lifts for beginners and the ski school for children. 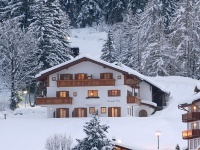 The ski piste to the Alpe di Siusi cable car and the bus stop skibus are at 100 meters from the apartments. 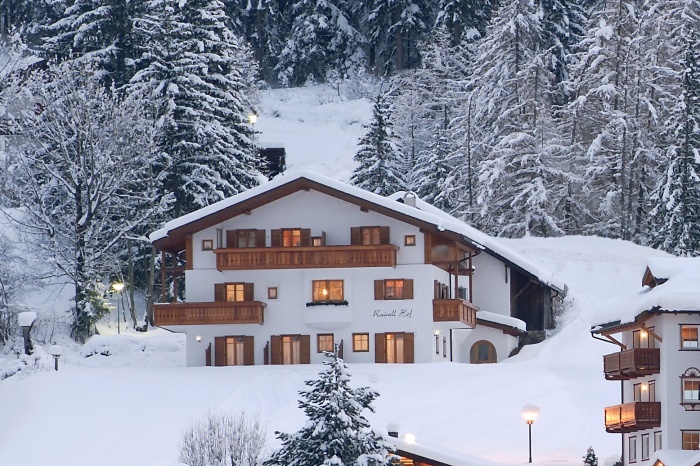 A skiing paradise with various lift facilities and uncontaminated landscapes.